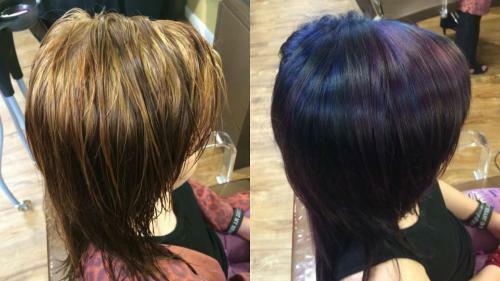 Check out this fun and vibrant color that Casie did using only Aveda color!!! I am sure you know that Aveda is safe and environmentally friendly…but did you realize that Aveda’s color technology can produce some of the most fun and fashionable colors that are so popular right now!!!! Come in for a consultation and pick the fun color you love the most for your hair!! !